On April 28, 2015, an uncrewed Progress capsule was launched from Kazakhstan by the Russian Space Agency (Roscosmos). The mission, dubbed Progress M-27M, was meant to deliver 2,357 kg of food and about 800 kg of other material to the International Space Station. However, as the title indicates, the capsule did not manage to deliver the expected shipment. Following lift-off on a Soyuz rocket, the capsule started spinning out of control as it entered orbit. At launch, every system was nominal. Shortly after, when separation from the third stage occurred, ground controllers immediately knew something was wrong: only two of the five communication antennas had deployed. Only moments after that, the Russian Progress capsule started spinning out. On April 28, the problem didn’t seem lethal; Roscosmos’ officials delayed Progress’ rendezvous with the ISS by about five days (it was originally planned to dock about six hours after launch). Afterwards, they learned the spacecraft was spinning; as a consequence the docking was delayed indefinitely until the problems could be fixed. The Russian Space Agency tried to find a solution, in vain. A few days later the mission was declared a failure, and the spacecraft was condemned to a fiery death (a fall and combustion in Earth’s atmosphere). On May 8, the Progress spacecraft re-entered Earth’s atmosphere. The capsule was big, so not all the material was burned up. “Given the fact that material inside is somewhat protected during the early parts of re-entry, maybe somewhere [between] 2,500 to 3,500 pounds (on a total of more than 7000 pounds) of material may have survived,” said Bill Ailor, an expert on spacecraft re-entries. However, “much of this material had itself been broken into smaller pieces and spread along a footprint several hundred miles long,” he added. What caused the capsule’s demise? Roscosmos doesn’t know for certain, but believes it was a small explosion or a tank rupture. SpaceX is a private ‘space’ company helping resupply the International Space Station (ISS), and its success is growing. At the end of May, it gained the rights to launch US government satellites into space. On May 21, its Dragon capsule returned safely to Earth after a month-long stay on the ISS. However, the most impressive and decisive thing it accomplished last month, was its ‘pad-abort’ test on May 6. This test was to determine whether SpaceX could carry astronauts into space in the future (it can’t right now because of regulations, just like any other private company). The experiment consisted of testing its pad-abort. Imagine you’re an astronaut and you’re on the launch pad in a SpaceX rocket about to be sent in orbit. Suddenly, everything goes wrong. Let’s say the rocket is on fire and it’s about to explode. You don’t have time to get out of it and run away, so you push a button – okay, it may be a little more complicated than that – to activate the pad-abort. Pushing that button will activate small rockets on your capsule, which will launch you into the air, far away from the rest of the about-to-explode rocket. Included is a video of the May 6 SpaceX pad-abort test. Tip: try not to blink, because the capsule goes incredibly fast. The water dump you see at the beginning is to suppress fire and to ‘absorb’ the vibrations, in a way. Note: had astronauts been onboard, accelerating from 0-160 km/h in 1.2 seconds, they would have felt 6Gs (that’s six times their weight) crushing them into their seats. The test was impressive, but above all, it was a critical milestone for SpaceX in its journey to being able to send commercial crew in space alongside NASA. Congrats SpaceX and Elon Musk for a successful flight! On May 28, a huge 9.8 magnitude earthquake shook California. Okay, no it didn’t. But according to one YouTube personality, it was supposed to — all because of a potential ‘planetary alignment’ (which also didn’t come to pass). But it did cause some speculation as to whether or not a planetary alignment could actually cause an earthquake here on earth. This whole story comes from one somewhat famous YouTube account, Ditrianum Media. I would have included the video where the host explains, in a sincere way, the famous natural catastrophe that would have occurred on May 28, 2015, in California. However, on May 29 – the day after the prophesized earthquake – this video was deleted from the Internet. Phil Plait, an American astronomer, has done the math and discovered that all of the planets in our solar system combined have a gravitational influence on Earth about 50 times weaker than the moon does. The moon, it should be noted, doesn’t trigger earthquakes. In the video, the speaker claims the planets will “energize” Earth. However he gives no precise information on what that means. And in astronomy, there is no such thing as planets ‘energizing’ each other. The YouTube host even implied Nostradamus being part of the magic recipe causing the seism. In conclusion, rest assured that planetary alignments can’t cause earthquakes, they don’t make you float, and neither can the supermoon. And astrology is baloney, to be polite. On May 20, an Atlas V rocket launched from Cape Canaveral Air Force Station in Florida, carrying the mysterious and top-secret Boeing X-37B space plane for its fourth spaceflight, as well as the promising LightSail satellite. The X-37B is an US Air Force classified spacecraft that resembles the Space Shuttle. Here is everything we know about it (source: Space Shuttle Almanac). However, we know a lot more about LightSail, a technology developed by the Planetary Society, of which Bill Nye (The Science Guy) is the CEO. Packed in a sandwich-sized CubeSat in Atlas V’s payload, the prototype LightSail carries no fuel. Literally, sunlight propels this technological achievement. Actually, light pushes on objects — this is call radiation pressure — you weigh more during daytime than at night (don’t worry, it’s not even close to a pound). It turns out, in space, where there is no atmosphere to counteract light, the pressure is enough to push a sail 20 times thinner than a human hair. Of course, the sail is attached to a small satellite. There you have it; a space probe powered by sunlight. The mission is just to test the sail (and as of today, everything is going as planned) and to “empower the world’s citizens to advance space science and exploration,” according to the Planetary Society. 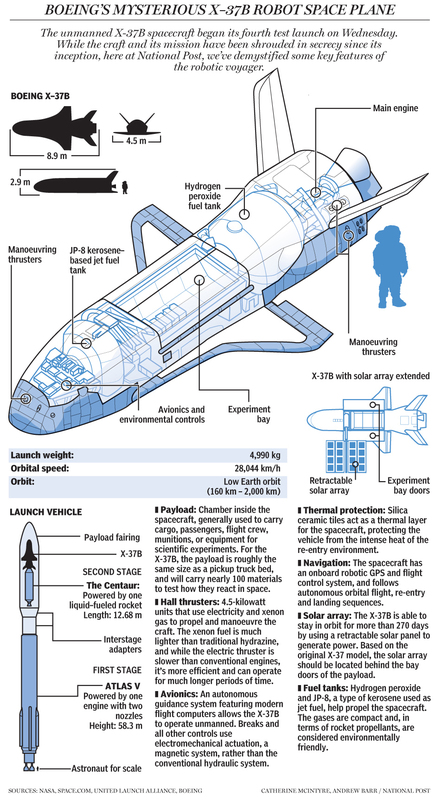 Let’s hope everything goes well and perhaps the prototype will show humanity a new way of exploring space. High five, scientists! On April 25, a 7.9 magnitude earthquake occurred in Nepal, killing more than 8,000 people. Even though NASA is often thought of as just a ‘space’ agency, its technologies can help disaster victims, and it did in Nepal. A NASA device called FINDER (Finding Individuals for Disaster and Emergency Response) uses microwave radars to detect heartbeats of animals (usually humans) trapped in the aftermath of a seism and other natural catastrophes. FINDER helped find and rescue four men trapped under 10 feet of bricks, mud and other debris in Nepal. The four rescued had been trapped under these bricks for days in the shaken town of Chautara. Using the life-saving gadget, rescuers were able to detect two heartbeats under two different structures and in that way were able to save the men. FINDER has proven its capabilities to detect heartbeat from people hidden under 30 feet of light debris, 20 feet of concrete and at a distance of 100 feet in open space. “FINDER exemplifies how technology designed for space exploration has profound impacts to life on Earth,” said Dr. David Miller, NASA’s chief technologist.